The following is a written interview between the blog editor, Ethan Barker, and East West astrologer Jan Van Ysslestyne. This is the first in a series of interviews with East West healers and readers. Jan Van Ysslestyne hosts the Shamanic Council at East West bookshop on the second Sunday of each month, and gives astrological readings on select other Sundays. Ethan Barker will be hosting an open book discussion on the spiritual classic Be Here Now by Ram Das. The discussion will be held at East West on Friday, November 30th, from 7:00-8:30. Ethan: You seem to have some special knowledge about shamanism. Can you tell us what it means to be a Shaman and what your interest in Shamanism is? Jan: That is kind of you to say, but I don’t think I have any special knowledge. I have just been very fortunate to study with the elders and shamans of the Ulchi tribe in Siberia. Now the question about what it means to be a shaman would take a very long time to explain, so I suggest that you go and read my book-LOL. 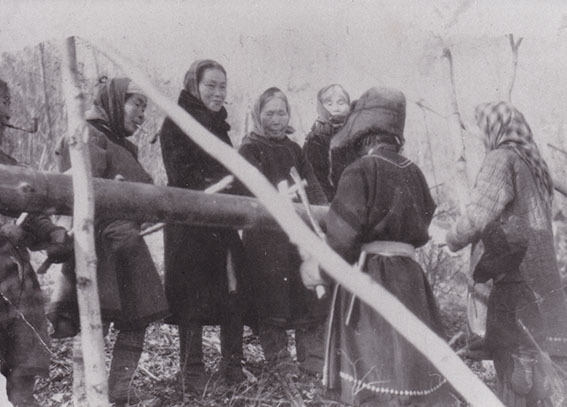 My interest wasn’t about shamanism per se as it was more about learning an ancient tradition of animism by a very remote tribe in eastern Siberia. Ethan: For how long and where did you study Shamanism? Jan: I worked exclusivity with this culture for almost 30 years. After the fall of the Soviet Union, I started bringing members of the tribe to the Pacific Northwest from 1994-2015. I learned their oral tribal language through an English speaking member of the group. This allowed me to translate their tales and traditions in my current book. Ethan: Would you call Shamanism an art or a craft? Or a way of living? Jan: The Ulchi’s gave the word “shaman” to the world. It comes only from their language group. More importantly, their tradition is about how to live as a proper human being on the earth through learning and living the Doro (which is the Manchu-Tungus word for Tao). Historically, they are “the wise people of ancient times” who are alluded to by both Lao Tzu and the writings of Chuang Tzu. They teach a way of life not unlike contemplative Taoists, or how to live in balance with all of Nature. Their shamanic practices are only a piece of this complex structure. They say that first, we must trust Nature, then other people, and finally ourselves. That seems to be getting at the very crux of most issues because people have a problem trusting themselves and go looking for outside validation to confirm their personal experiences. Shamanism is an animistic way of being in the world and adhering to natural law. Ethan: And do you consider yourself a Shaman now? Ethan: You recently came out with a book on Siberian Shamanism. Did you have a specific intent when you wrote the book? Do you feel it is more of a summary or documentation of what you know, or is it meant to guide someone through a specific aspect of that work? 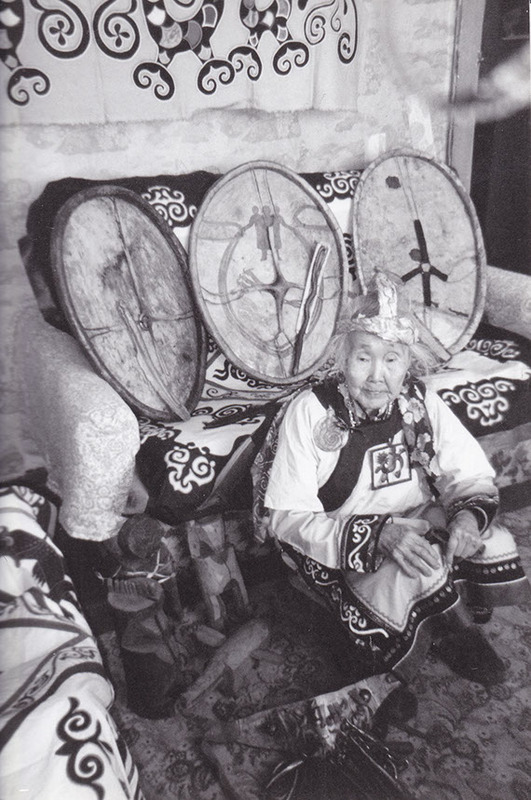 Jan: My intent was to preserve the oral histories of these quickly vanishing people as well as to educate Westerners to the complexity and nuances of authentic shamanism. The word “shaman” is bandied around so much these days especially when it comes commodification of products for the consumer. In my small way, I hope to help people understand the practice more clearly whether they are interested in shamanism or not. Ethan: You run the Shamanic Council at East West once a month. Can you tell us what goes on in that event? Ethan: If someone wanted to attend that event, is there something they should do to prepare? Ethan: You also do astrological readings here at East West. Can you talk about how your study of Shamanism influences your style as an Astrologer? I agree that the invisible world is experienced through emotion and feeling experiences. I’ve always thought of it as an expanding of the mind. The thoughts and ideas that come to me are completely different than when thinking about a solution to whatever. For example I di not consider myself to be particularly creative however when I’m in an animism state I’m very creative.